The Cold War is heating up. Senator Joe McCarthy is running a witch hunt for Communists in America. The newly formed CIA is fighting a turf battle with the FBI to see who will be the primary US intelligence agency. And the bodies of murdered young men are turning up in the city. 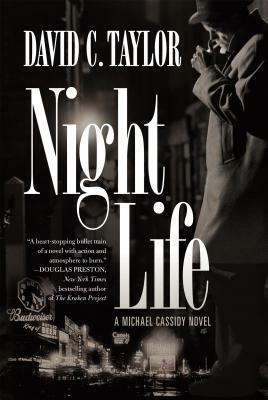 Michael Cassidy has an unusual background for a New York cop. His father, a refugee from Eastern Europe, is a successful Broadway producer. His godfather is Frank Costello, a Mafia boss. Cassidy also has an unusual way of going about the business of being a cop-maybe that's why he threw a fellow officer out a third story window of the Cortland Hotel. Meanwhile, a mysterious, beautiful woman moves into Cassidy's building in Greenwich Village. Is Dylan McCue a lover or an enemy? Cassidy is plagued by nightmares-dreams that sometimes become reality. And he has been dreaming that someone is coming to kill him.